Does a vacuum balance tube exist with three ports? I need a vacuum balance tube that has two small ports and on large PCV port. Does this already exist or do I need to just modify one? This is for a two carb motor. Re: Does a vacuum balance tube exist with three ports? I think they are out there, think I have one or two. Dave I would be interested if you get a chance to look. I'll bet it off of an engine with A.I.R. ? That is what I was thinking as well. There is no reason that this LM part will not fit on EM is there? That is an AIR/smog balance tube and it will fit an early just fine. 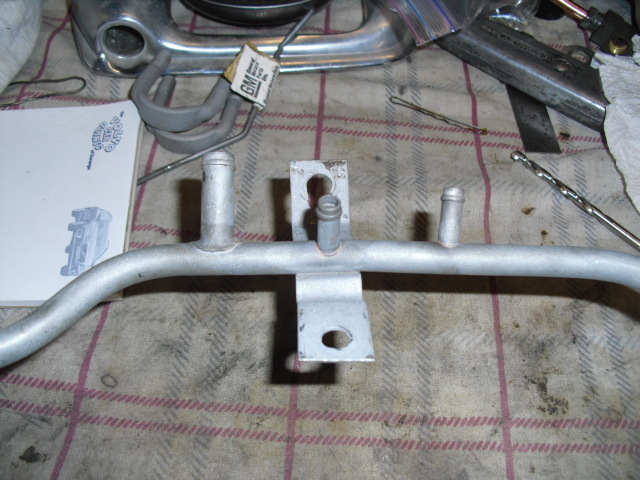 The late balance tubes starting in '65 bent around where the left side upper heater hose would be on the '65 A/C cars and they stayed with that shape thru '69. The three fittings are large PCV, diverter valve and vacuum modulator. I believe they used the same tube for manual trans cars and just plug the extra fitting. I just put on of those tubes on my latest Monza with the Mouse House 110 engine. Going to use 3rd port for vacuum gage under dash. Next to oil pressure gage and volt meter. Dave is going to look and see if has has another one but if any one has a three port balance tube they would part with let me know. 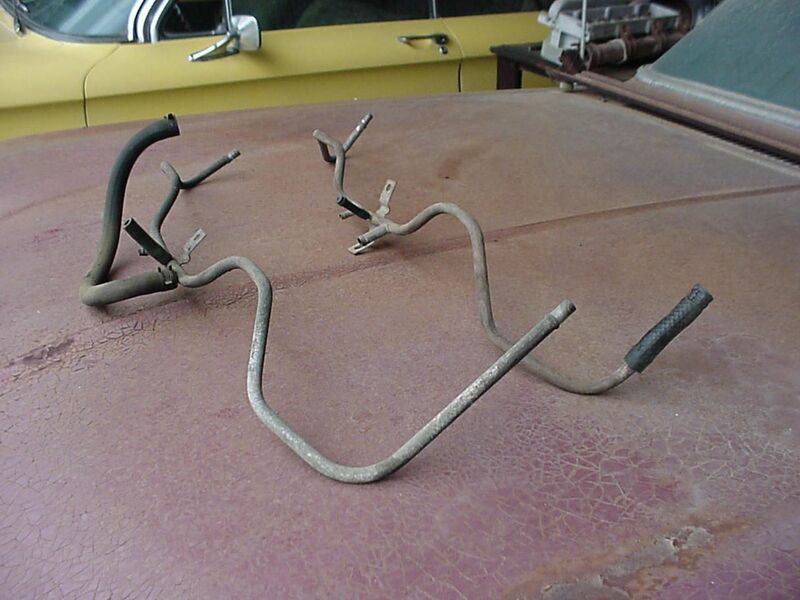 That would be bent to clear 1966 and 1967 AC cars. 1965 had upper vent hose on right side. 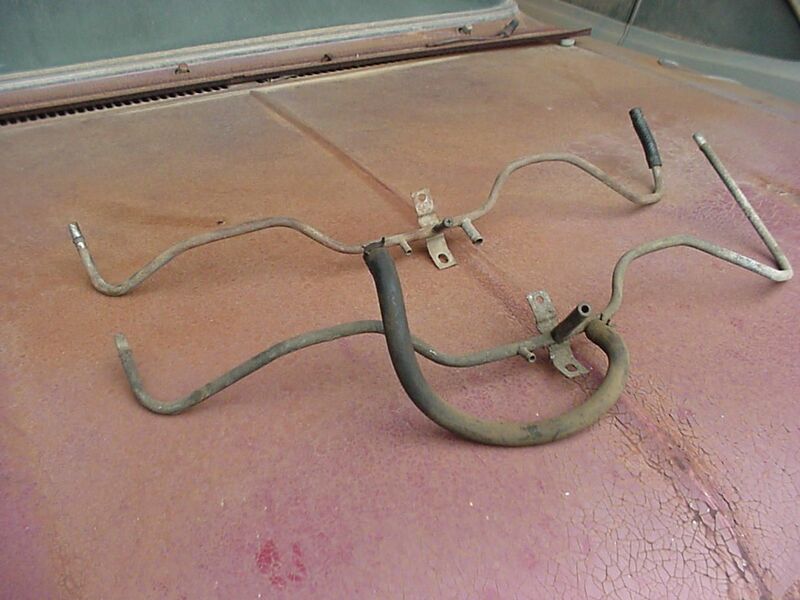 The '65 upper heater hose on A/C cars is on the driver's side (left) just like the '65 and '66 turbo cars. They are not "All" the same, Matt - 140s are shorter because they connect to a secondary on one side. Correct, and as I recall, tear-drop air cleaners require a balance tube that drops down low for clearance. The one I have here now has the EM style bend to it. Dave could you post a picture of the whole thing? Here ya go, both 140hp and 110hp smog style balance tubes (third port is for Powerglide modulator). Good catch vairchet. A fellow in SCC has a very nice 66 Monza 140HP, PG, A/C and in 66 Calif exempted A/C cars from the A.I.R. requirment. Being a Monza there is no vacuum gauge port. Years ago I dug through a box of cross over tubes looking for a 140HP with A/C and the vacuum gauge fitting. I was surprised by the number of variations.